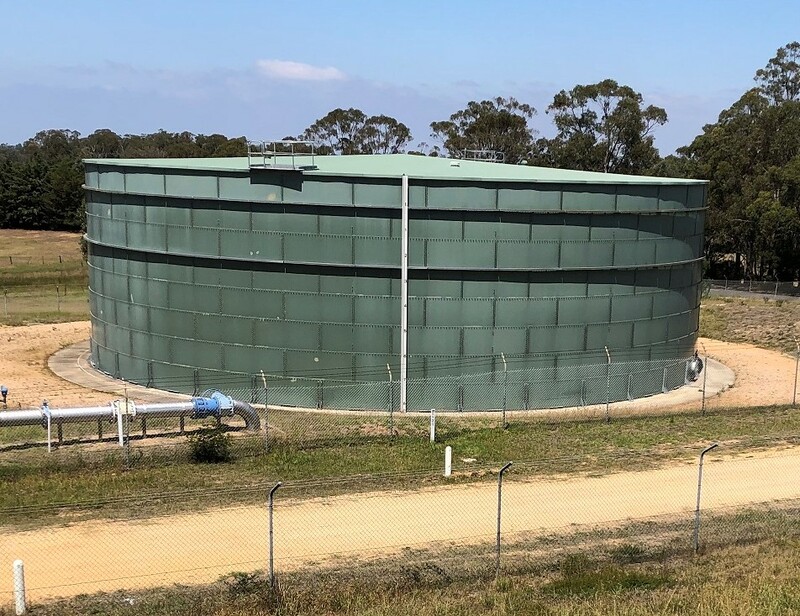 East Gippsland Water customers in Nicholson, Johnsonville, Swan Reach, Metung, Tambo Bluff and Kalimna stand to benefit from the construction of a new six-million-litre drinking water storage tank. The fully enclosed steel tank (which measures around eight metres high and 32 metres in diameter) is being built within a disused water storage basin at Sarsfield, alongside an existing water storage tank of a similar size – doubling the storage capacity on the site. The $2.8 million project, now underway on-site, is designed to help meet the long term water supply needs of the growing communities in East Gippsland Water’s Mitchell River water supply system. This system supplies some 24,000 people in communities between Lindenow and Nowa Nowa – including Bairnsdale, Paynesville, Bruthen and Lakes Entrance. Having two water storage tanks at Sarsfield will make it easier to maintain an uninterrupted supply of water to customers in the event that one of the tanks is taken offline for maintenance or repairs. Anyone with an enquiry about the Sarsfield project, which is due to be completed by the end of the year, should contact East Gippsland Water’s Bairnsdale office on 1800 671 841 during business hours.